The knee is the body’s largest joint. It’s the place where three bones meet: the tibia, the femur, and the patella. The knee is a “hinge” joint, allowing the leg to bend in only one direction. The knee supplies strength for running, squatting, jumping, and turning. But it doesn’t have the range of motion of other joints, and has almost no ability to rotate. The knee is a complex system of supportive and moving parts, including bones, cartilage, muscles, tendons, and ligaments – each of which is subject to injury or disease. Because of this, treatment of knee-related injuries and disorders requires a distinct set of skills and experience. 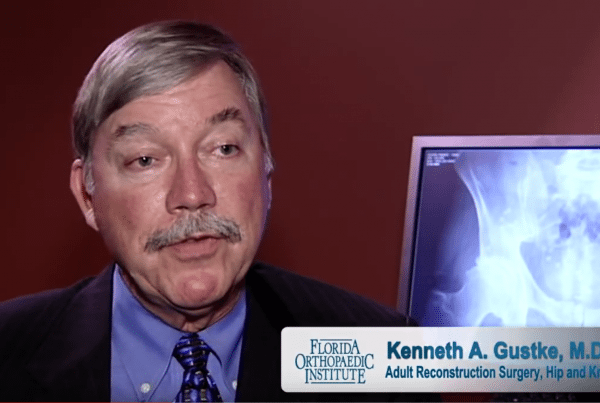 Florida Orthopaedic Institute has expert surgeons who are board certified by the American Board of Orthopaedic Surgery and fellowship trained in adult knee reconstruction. The following represent specific evidence and examples of how our surgeons consistently put into practice progressively advanced practices in the knee area. The Florida Orthopaedic Institute board certified surgeons provide attentive all-inclusive knee & leg care beginning with a concentrated discussion with each patient about your specific pain or distress. Following this discussion, your surgeon will likely recommend additional assessments including x-rays to assist in determining the source of the cause of your pain. 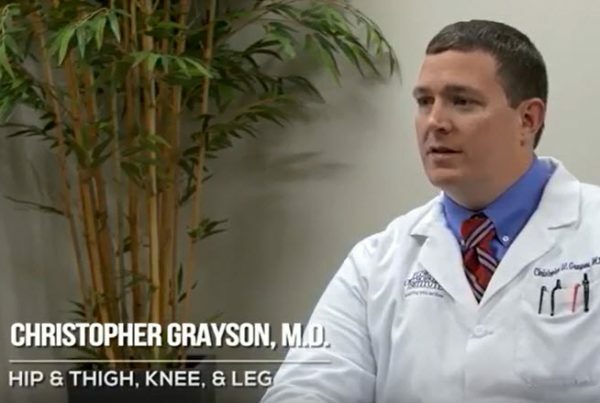 When your comprehensive evaluation is complete, your knee & leg surgeon will explain the diagnosis. They will also discuss all available treatment options. Treating your pain with conservative options is always our priority. However, if non-surgical options won’t accomplish complete success for your needs, our knee & leg surgeons are trained on (and at times assist in the development of) the latest surgical procedures and advancements, including cartilage, restoration, and total knee replacement. 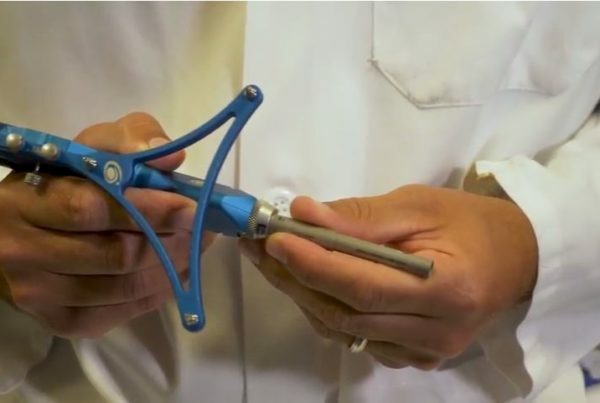 The NAVIO® Surgery System allows Florida Orthopaedic surgeons to perform precise and accurate partial knee replacements. 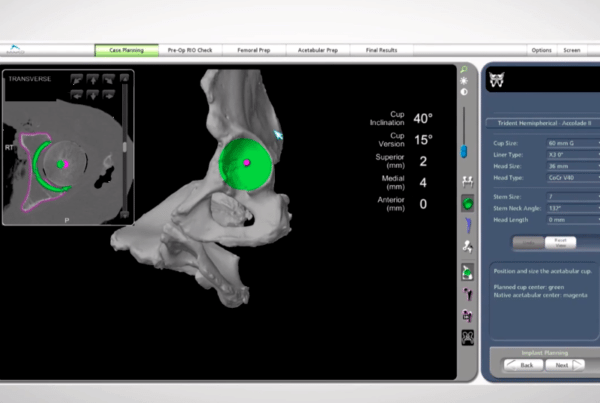 This system, developed by medical device maker Smith & Nephew, involves only a simple x-ray rather than a time-consuming and radiation-intensive CT scan, before the surgeon uses advanced planning software to tailor the surgery to the patient’s anatomy, align the implant, and balance the knee. 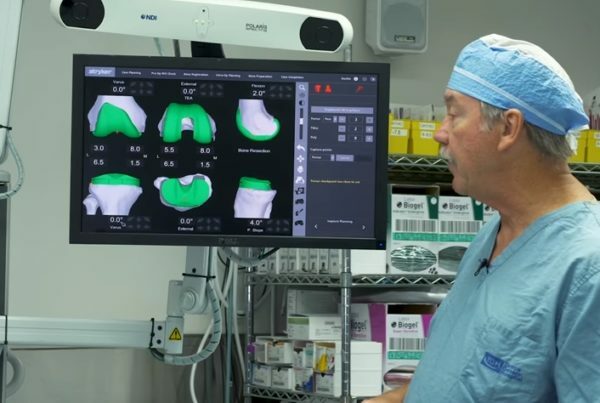 As the only location in Florida with the NAVIO robotic assisted surgical system, Florida Orthopaedic surgeons can visualize their patient’s X-rays. 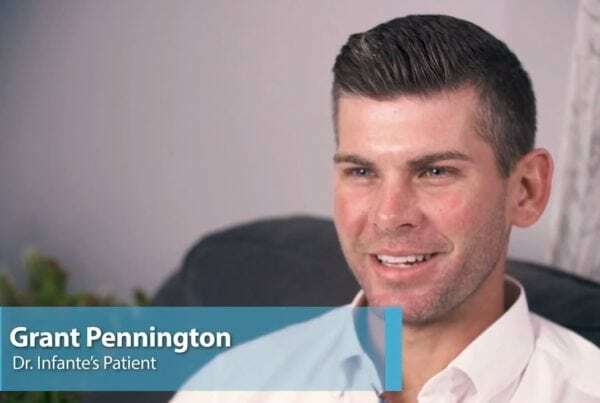 By making partial knee replacements a more accessible option through improved precision, patients receive a surgical procedure that is generally associated with smaller incisions, less scarring, and quicker recovery when compared to the total knee replacement alternative. In our Orthopaedic Surgery Center, this procedure is performed as outpatient surgery not requiring a hospital stay. Using the NAVIO assisted partial knee replacement, patients typically walk and climb stairs the same day of surgery. It helps them return quickly to an active lifestyle. Florida Orthopaedic Institute is the first and only location in Florida with NAVIO Robotics, and is one of only 79 locations worldwide. MACI is a technology that uses the patient’s own cartilage cells and glues them into the cartilage defect using a structure known as a cellularized scaffold. MACI is done through smaller incisions with significant improvements in operating time and an easier path to recovery. While this technology is new in the United States, it has an almost 10-year track record in Europe with excellent results. 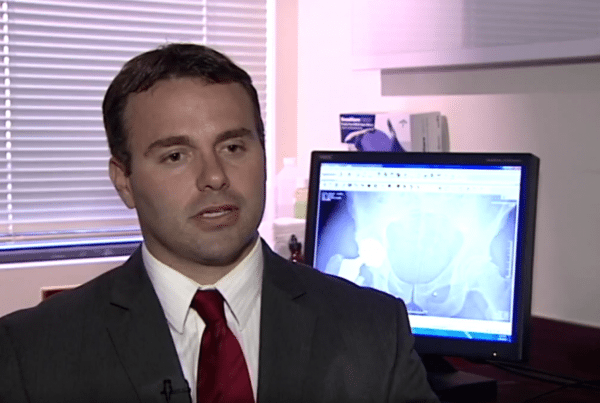 MACI uses the patient’s own cells to treat cartilage defects in the knee. Many times when a patient comes in to see their doctor with knee pain, the cause is a piece of cartilage that has come loose or worn down. Since cartilage does not grow back, these defects usually get worse over time and can eventually lead the patient to early osteoarthritis. 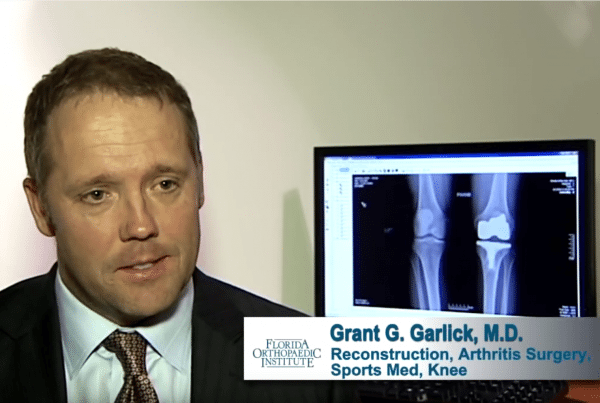 MACI helps many patients avoid early partial and total joint replacements by restoring the cartilage surface of their knee before the problem progresses to a much worse situation. When the cartilage protecting the bones of the knee slowly wears away, this results in knee osteoarthritis. Osteoarthritis can appear throughout the knee joint or just in a single area of the knee. If advanced osteoarthritis is limited to a single compartment of the knee, it can be treated with a unicompartmental knee replacement. During a partial knee replacement, damaged bone and cartilage are resurfaced with metal and plastic components. The healthy cartilage, bone, and all of the ligaments are preserved. 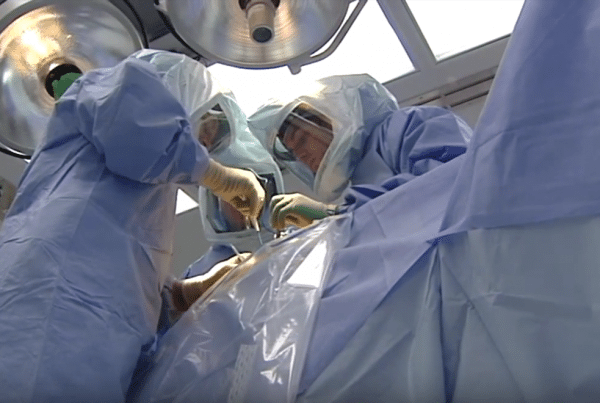 For patients whose disease is limited to just one area of the knee, this procedure is an alternative to total knee replacement. Patients usually spend less time in the hospital and return to normal activities sooner than total knee replacement patients because a partial knee replacement is done through a smaller incision. ConforMIS knee replacement implants are individually designed and manufactured for each patient, with no two alike. Each implant is sized and shaped to fit each patient’s unique anatomy, offering advantages over other knee implants. It is the first knee replacement that fits only one knee. Yours. 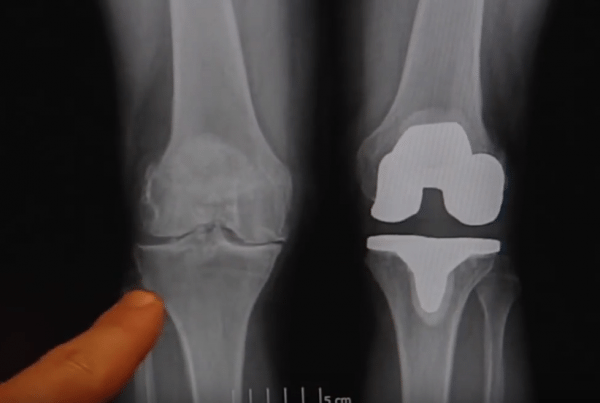 When the knee joint is affected by osteoarthritis or rheumatoid arthritis and non-surgical methods have not decreased the pain, total knee replacement surgery (total knee arthroplasty) is a highly successful option. This procedure replaces the infected and painful knee joint with an artificial joint made of state-of-the-art materials. 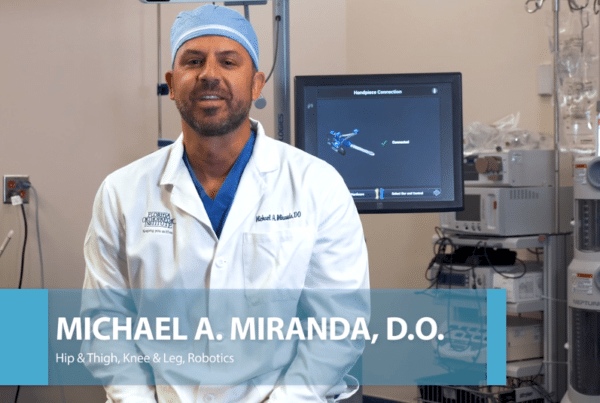 In 2016, Florida Orthopaedic Institute performed an innovative and sophisticated total knee replacement surgery using the MAKO Robotic-Arm Assisted Surgery System. 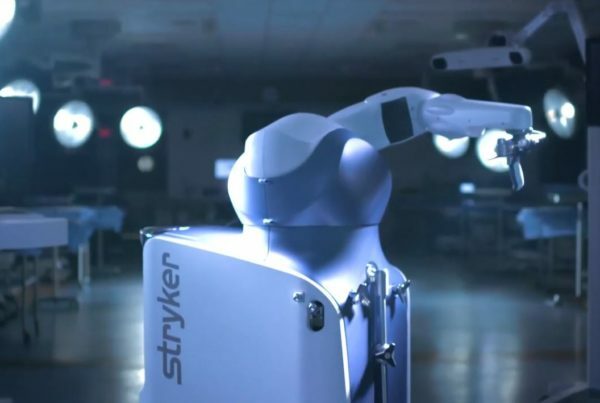 The MAKO system is a surgeon-controlled robotic arm technology that enables accurate alignment and placement of implants. Before the surgery, the MAKO Robotic-Arm Assisted Surgery System creates a 3-D model of your knee to pre-plan the procedure. Your surgeon guides the robotic arm, using the pre-plan guidelines, and removes only the diseased bone. 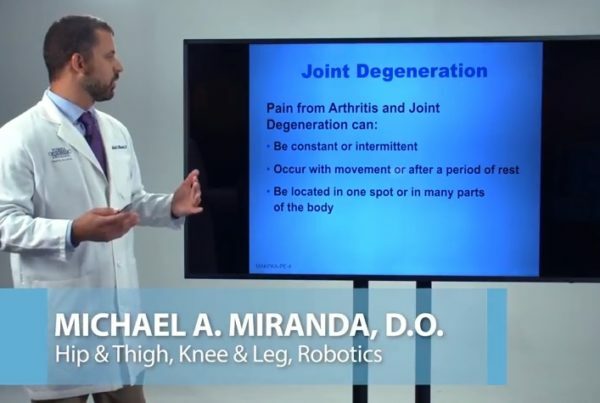 A tremendous advantage of this procedure is that it preserves your healthy bone and soft tissue as well as assisting the surgeon in positioning your implant. One of the most common knee injuries is a Meniscus tear. The meniscus is a wedge-shaped piece of cartilage that act as a shock absorber between your thighbone and shinbone. Each knee has two. Meniscus tears occur in athletes, but also those who don’t play sports. The meniscus can also tear through degeneration. To learn more about the causes, symptoms and treatments for meniscus tears, click below. One of the most common knee injuries are anterior cruciate ligament (ACL) sprains or tears. Sports like soccer, football, and basketball have a higher incidence of ACL injuries. Anterior cruciate ligaments can be injured when your knee and leg rapidly change direction. Injuries are also caused by deceleration when cutting, pivoting or sidestepping and direct contact or collision. 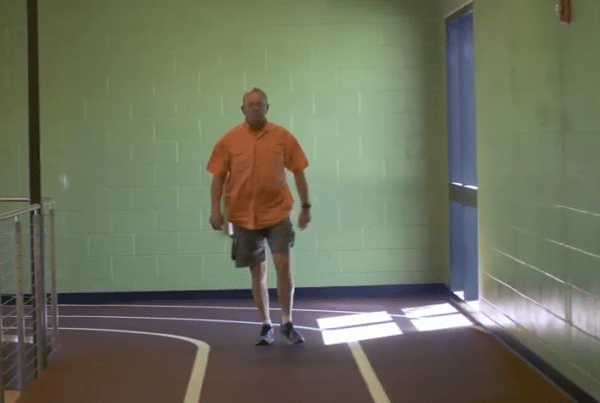 While these causes typically occur in sports, ACL injuries can happen in non-athletes from stopping suddenly, slowing down while running or other twisting movements. ACL injuries may need surgery to regain full function of the knee, depending on the severity of the injury, activity level, and other factors. Treatment for ACL tears includes nonsurgical treatments, arthroscopic surgery, as well as surgical repairs. 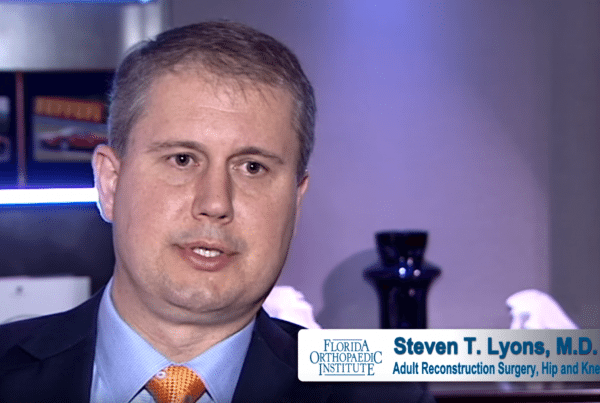 Florida Orthopaedic Institute knee and leg surgeons stay current on the latest ACL treatments, research and repair options. The leg is composed of muscles, bones, blood vessels and tissues and activities associated with walking, jumping, skating, etc. rely on the interactive support of your leg’s construction for you to move. Common leg injuries occur during sports, recreational and personal or professional work-related activates. If the problem with your leg is not related to a specific injury, your discomfort may be associated with a different cause. For example, mature adults, who tend to lose muscle mass as they age, tend to be at higher risk for certain issues. Overactivity in children or a rapid growth of their bone and muscle may threaten a child’s muscles. The following includes some examples of complications to your leg that may not be related to a particular injury occurrence. Overuse injuries, although not actual injuries, are associated with activities that you repeatedly perform on a regular basis. Athletes who “overdo” a muscle or series of muscles may include swimmers, pitchers, basketball players, etc. 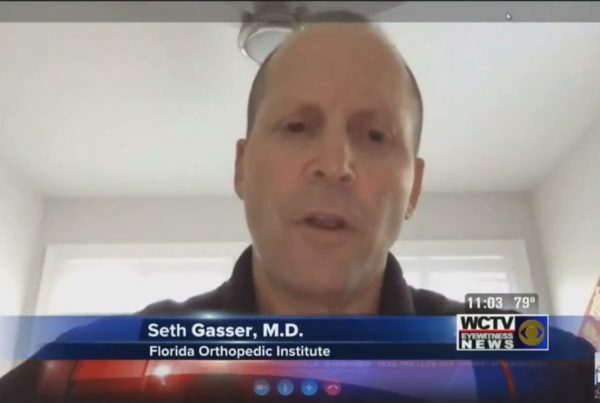 Overuse injuries are not limited to sports. They can include any individual who repeatedly performs the same activity. An overuse injury may result in tendonitis, stress fractures, bursitis, or additional muscle strain. Leg problems that affect your blood vessels – referred to as “vascular disease” – may include a blood clot or complications with your arteries. Stiffness, swelling and joint pain may suggest of a type of arthritis. Many leg problems repair themselves on their own with home treatments that promote healing. Serious leg problems will need the attention of an experienced orthopedic specialist. If in doubt, make an appointment to discuss your symptoms with one of our physicians listed below. 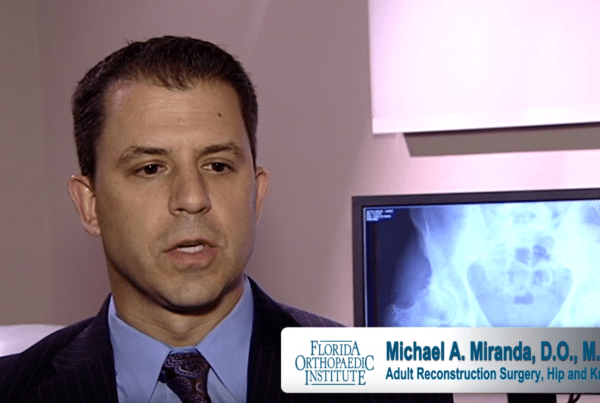 The Florida Orthopaedic Institute’s team of board certified surgeons stay current on that latest treatments and innovative research. 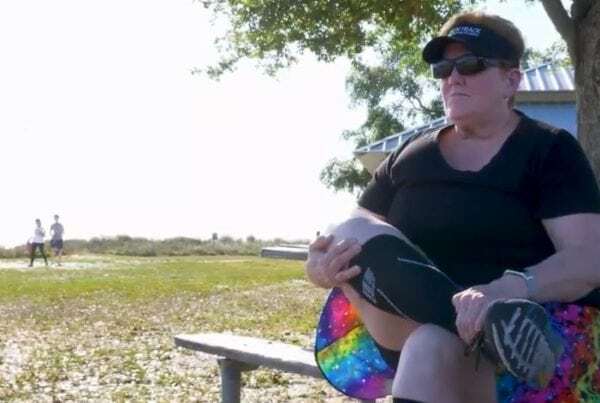 Whether you’re young or old or anywhere in between, shin splints can happen to anyone who’s participating in physical activity. Only in the rarest of cases will they need surgery as they can be resolved through nonsurgical means. Shin splints usually happen after unusual or sudden changes in activity – from starting a new workout routine or playing a different sport than you’re used to. Also known as medial tibial stress syndrome, shin splints are caused by pain along the inner edge of the shinbone (tibia) and occur when the muscles, tendons and bone tissue around the tibia become worn or inflamed due to physical activity or exercise. To learn more about the symptoms, diagnosis and treatment of shin splints, click below. A muscle spasm is when a muscle suddenly squeezes on its own. They are also known as a cramp or “charlie horse.” Muscle spasms can cause sharp pain that lasts a few seconds or several minutes. If the spasm is strong enough, it can leave a lump on the muscle. Muscle spasms usually affect the thighs, calves, feet arms and hands.